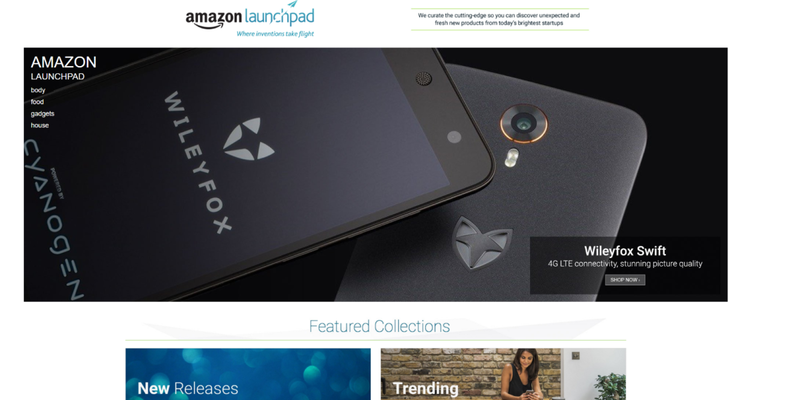 Shoppers can now get access to some of the startup scene’s latest hardware, food and wellbeing products as Amazon’s curated Launchpad portal is now live outside of the US. Although many current listings are from US companies (and some, like Pebble, aren’t particularly new) UK makers littleBits and smartphone manufacturer Wileyfox are among the first to start selling on the site. An Amazon spokesperson said this is an opportunity for people to get to know the stories behind the products they buy as the site offers space for information about the founders who came up with the ideas. Amazon Launchpad is mainly designed to support startups that are already part of the shopping giant’s growing partner network of VCs, accelerators, incubators and crowdfunding platforms. This now includes products funded on UK crowdfunding sites like Crowdcube and Crowdfunder.co.uk. The programme clearly gives Amazon a direct line into innovators as products are launched, although the companies do not have to list exclusively on the Launchpad. Budding makers and existing Amazon suppliers can apply now to be listed on the portal, even if they aren’t working with one of Amazon’s partners, but their products must be ready for shipping within 90 days.